Hello dear blogging friends: I have a card to share today to add to my Christmas stash. I like to participate in Christmas challenges because, once the Holidays approach, I want to be ahead of the game and be ready with a good amount of cards to mail to friends and family. This card is a CASE of THIS CARD BY THERESE CALVIRD, I just changed her flowers and added this pretty candles from Elizabeth Craft called CHRISTMAS CANDLELIGHT. 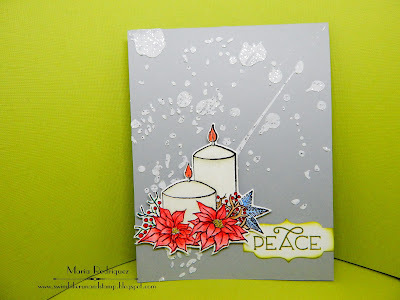 I stamped the image on a piece of watercolor paper with Stazon black ink and colored it with SU makers, I added a bit of Wink of Stella to the Poinsettias and the candles, hope you can see it, this stuff is really hard to photograph, as you might know. The design on the back is done with an Altenew stencil called SPLATTER and some Texture Paste mixed with silver glitter. The sentiment is from a Power Poppy set called PONSETTIA. 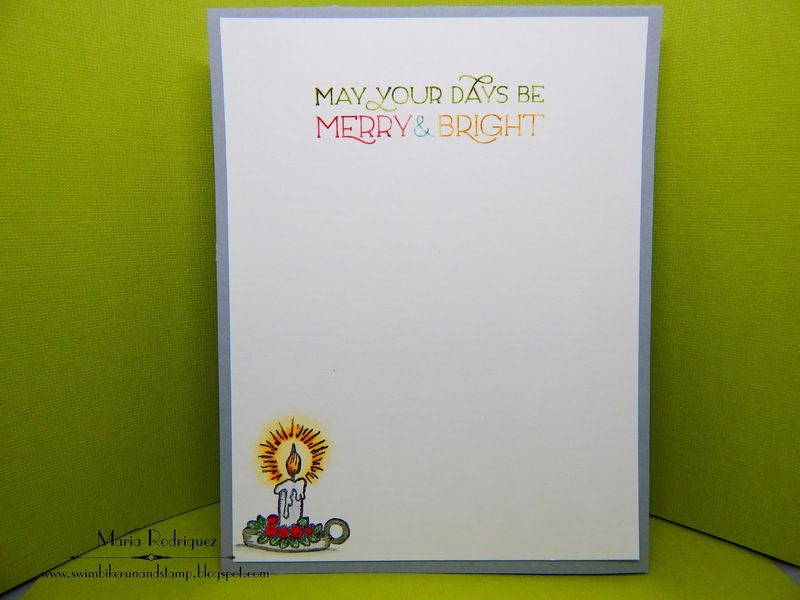 The sentiment is from the same Poinsettia set and the little candle from another Power Poppy set called MERRY LITTLES. Christmas at Sweet Stamping Anything Christmas Goes. 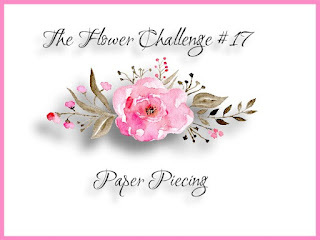 Hello everyone: We've come to the halfway point at THE FLOWER CHALLENGE with the theme of PAPER PIECING not to be confused with PAPER PIERCING. 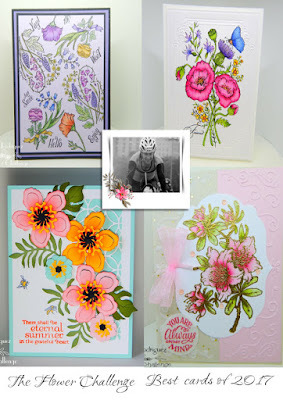 This technique is really fun and it helps you use all of those scraps of pattern paper we can't seem to get rid of because they are so beautiful so this is your chance to do just that and come and play along with my teammates and me in our gallery. 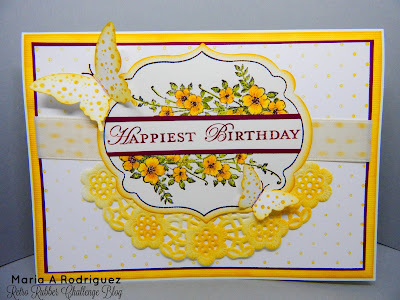 The card I made was truly heaps of fun, this images are from a retired Stampin' Up! set called "Flower Shop" and it's perfect for this technique, the flowers are stamped with Stazon black ink on the different pattern papers and then, punched with the coordinating punch, I added some sponging to the edges and the centers are die cut also with scraps of pattern papers. The leaves are punched with the Bird Builder Punch on paper scraps also. 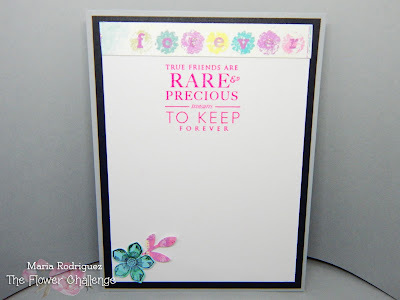 The sentiment is from an old Flourishes set called "Orchids"
The sentiment is from Paper Tray Ink and the small flower on the corner from SU "Petite Petals"
Now, my teammates and I decided to add a group of cards from THE FLOWER CHALLENGE of 2017 that we created and that are some of our favorites, our dear friend and challenge coordinator Vivien Hodge was so sweet and helpful in making all of us this beautiful graphics with the cards so I hope you enjoy seeing them, hope you like them too. Don't forget to go check out my teammates blogs so you can see their cards too and leave them some comment love. 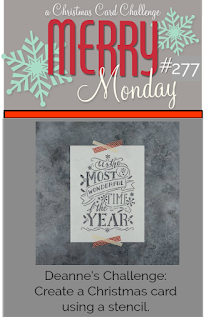 Hello Stamping Friends: Well, as the title of this post indicates, the new challenge for this week over at SHOPPING OUR STASH is about using an image on your card front that is stamped with something other than an actual rubber or acrylic stamp. 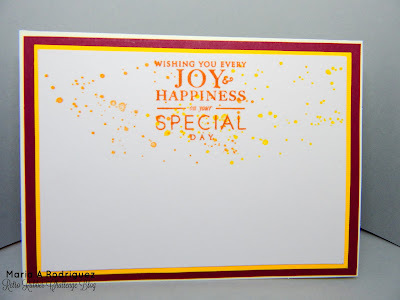 You can most definitely use a regular stamp for your sentiment or to add to your scene but, some of the elements on your card MUST be created using other things that you might have around the house or in your craft room. This is what I did here so here is my card that I hope will get you inspired to join my teammates and I in our gallery. When I found out about this challenge, I immediately recalled watching THIS AMAZING VIDEO on UTube that left me speachless!!! This young man's name is Jay Lee and, one of the things I love about him besides the amazing way he paints with water colors is that, on most of his videos, he's got his little baby boy right next to him, whether sitting on the high chair or on a carry on in front of him, sometimes the baby is asleep in his crib in his room and his dad and us are watching him on a little pop up window on his computer screen. So, as soon as I knew what this challenge was going to be about, I set out to use the video to create my card. 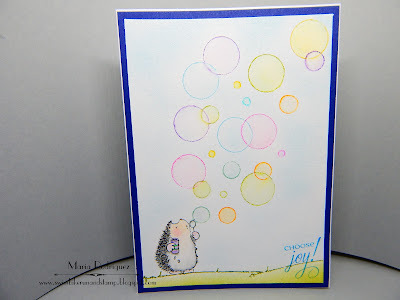 And I had the perfect stamp for it, this cute little Hedgehog from the Penny Black set called HUGS who is blowing bubbles. The ones I created are made with the cap of a re-inker for the big bubbles, the cap from a Stampin' Up! marker for the medium size ones and even the opening of a ball point pen for the smaller ones, I used ink pads to ink them up and, when I stamped the circles on the watercolor paper, I used a small brush to add water to the centers, being careful not to go outside the line. 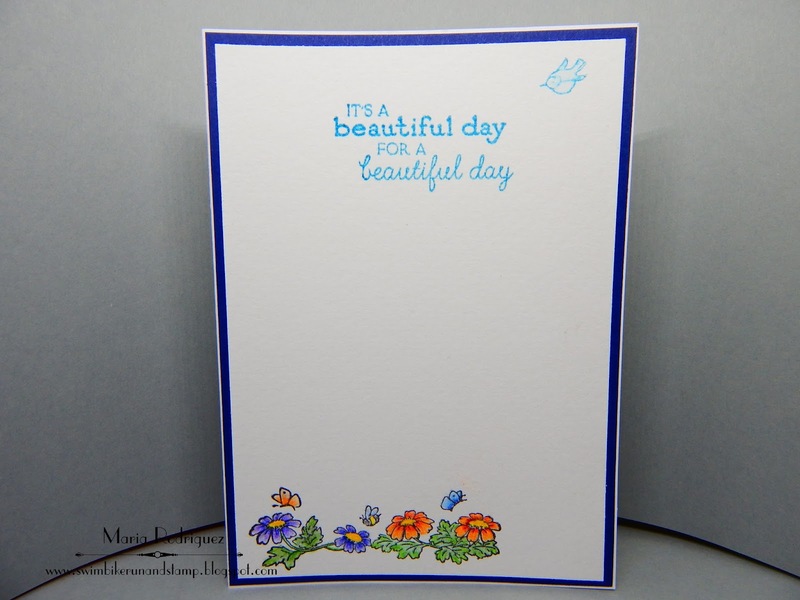 The sentiment is from an old Flourishes set called "Orchids", the grass is done with a Purple Onion stamp. I sponged the sky and grass with Distress Inks. The sentiment is from a Power Poppy set called Best Day Ever, the flowers at the bottom are from the Penny Black set, colored them with Prismacolor pencils. I hope you feel inspired to join my teammates and I in the SHOPPING OUR STASHgallery, I'm sure you can find a lot of things around the house or your craft room that are NOT STAMPS for your card, we can't wait to see what you can come up with. Don't forget to let us know what you used, ok? 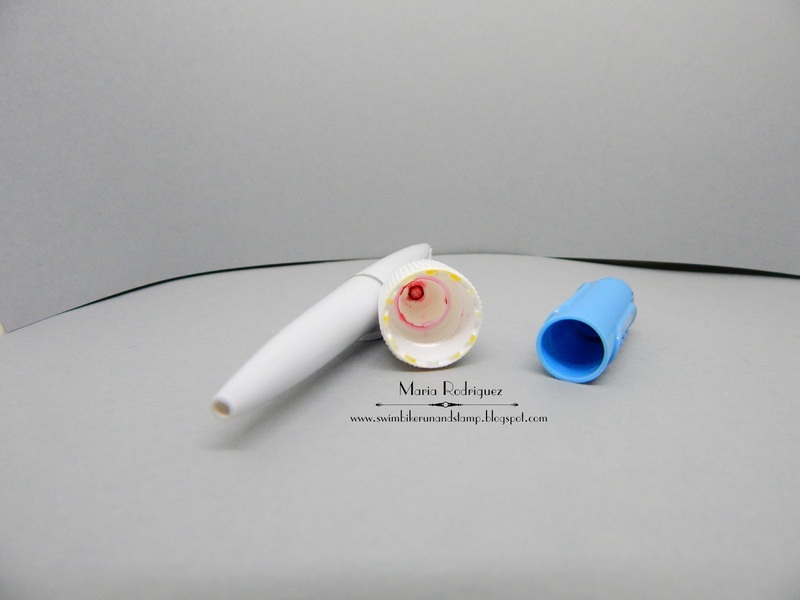 This is what I used, from left to right.....the bottom of a ball pen, the cap of a re-inker and the cap of a Stampin' Up! marker. Hello dear blogging friends: Yes, yes, my teammates and I are seeing dots in our new challenge over at RETRO RUBBER and we want you to come and play with us in our gallery. Here is the card I made to inspire you to join us. 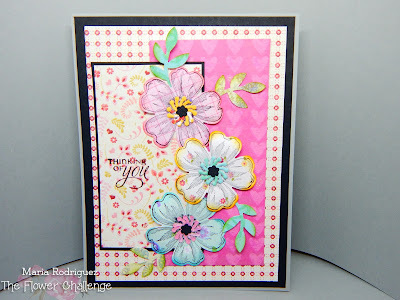 The image on this card is from a very old and beautiful Stampin' Up! set called "Apothecary Art" that came out in the 2012 Occasions Mini and it' has the companion die set and a piercing mat design too. I chose this very bright yellow colors to perk me and you guys up during this very long and cold Winter season. I stamped this image on watercolor paper with Stazon black ink and colored with SU markers, the dots on the background were made by inking one side of a dots embossing folder and running my panel through the Big Shot. 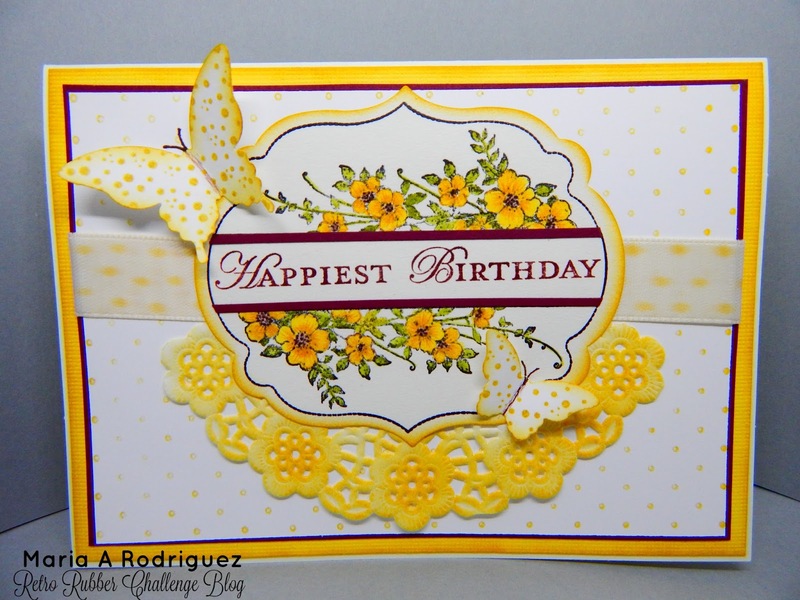 I didn't have dotted ribbon so I created my own with a Daffodil Delight SU marker. 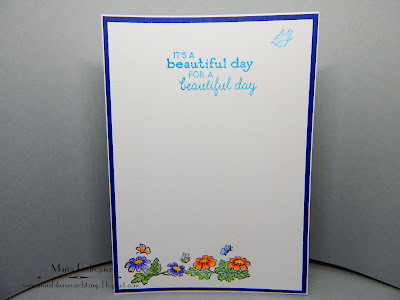 For the butterflies, I stamped some dots with Daffodil Delight and the "Gorgeous Grunge" stamp set (2013-2014 Annual Catalog) and then punched them out with the Butterfly punches that coordinate with the "Papillon Potpourri" (2012-2013 Idea Book and Catalog). I added a cut out doily sponged with Daffodil Delight for a bit of texture. 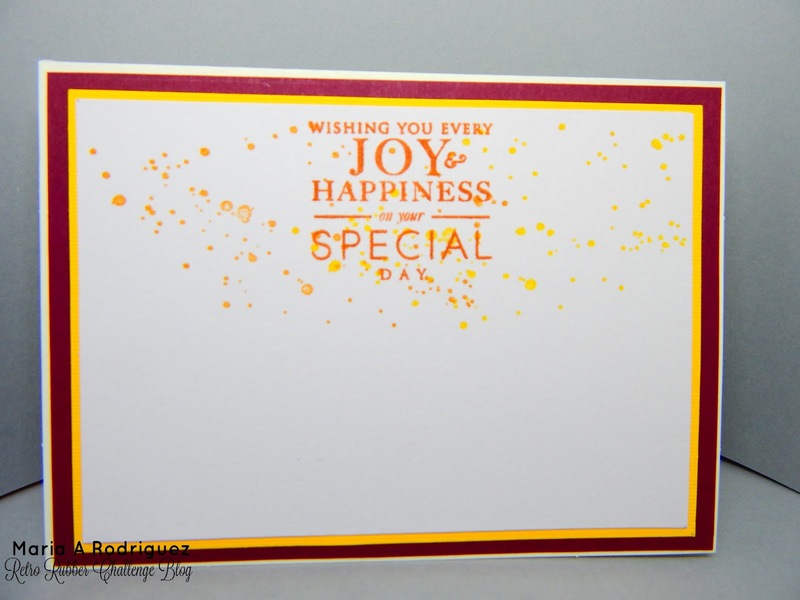 The sentiment is from a set from Paper Tray Ink, the dots from Gorgeous Grunge. So I hope you get inspired to come and play with my teammates and I in the RETRO RUBBERgallery, we can't wait to see what you can create. For more inspiration, go to the challenge PAGE and check out the rest of the team's awesome creations.